Nissan car, truck, crossover, or SUV owners living in Paradise can bring their vehicle to the United Nissan of Las Vegas service center for any repair or maintenance service including Nissan Oil Change Service. Engine oil loses its integrity because it has a job full of friction, intense heat, and pressure. 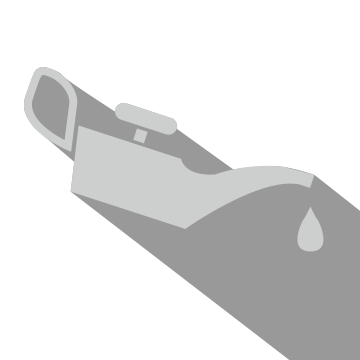 As your engine oil starts breaking down, it cannot lubricate your engine parts like it once did to keep your engine cool. Paradise area Nissan drivers can bring their car, truck, crossover, or SUV to the United Nissan Las Vegas service center to receive regular maintenance, repairs, or install genuine Nissan parts and accessories. We take pride in offering the region’s most convenient and affordable Nissan Oil Change Service. 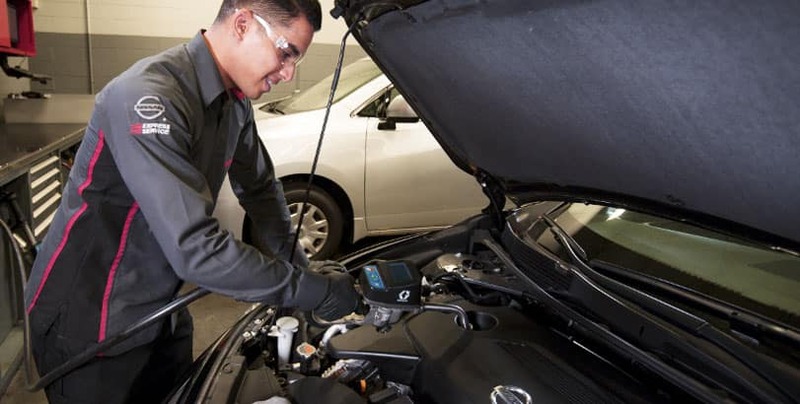 Our team of factory-trained Nissan certified technicians has the professionalism and diagnostic tools expertise to provide our Paradise drivers with Nissan Oil Change Service to keep your engine lubricated and cool. United Nissan Las Vegas is located within a 15-minute driver for most Paradise Nissan drivers. We are conveniently located on East Sahara Avenue just off the Boulder Highway. Don’t risk having anyone else service your vehicle. The best way to extend your vehicle’s life and guarantee service results is to have your Nissan car, truck, crossover, or SUV receive Oil Change Service at a reputable dealer with factory trained Nissan certified technicians. We would like to extend our genuine Oil Change service guarantee to all Nissan drivers living in Paradise. Schedule an appointment today to have your Nissan car, truck, crossover, or SUV get an Oil Change Service at United Nissan of Las Vegas. The United Nissan dealership and service center offer a luxurious customer lounge if you want to wait on your vehicle while a friendly Nissan certified technician performs your vehicle’s service needs. Relax and watch a large flat screen television and enjoy a complimentary coffee with a fully stocked snack bar while we provide a convenient express service, so you can get back on the road as fast as possible.